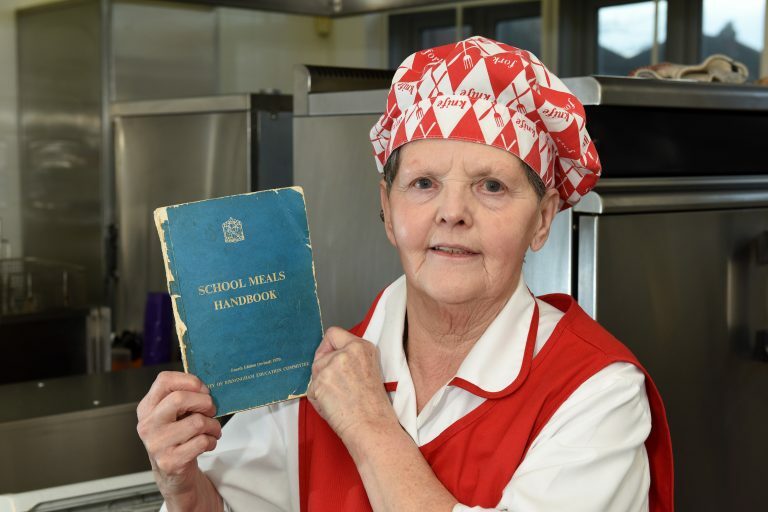 A dinner lady who still uses her cookbooks from the 1950’s is celebrating 45 years in the industry – and claims her old school recipes go down a storm. Rosemary Stoke, 69, from Yardley, Birmingham, hasn’t changed her cooking style since she began her career in 1974 at the age of 24. 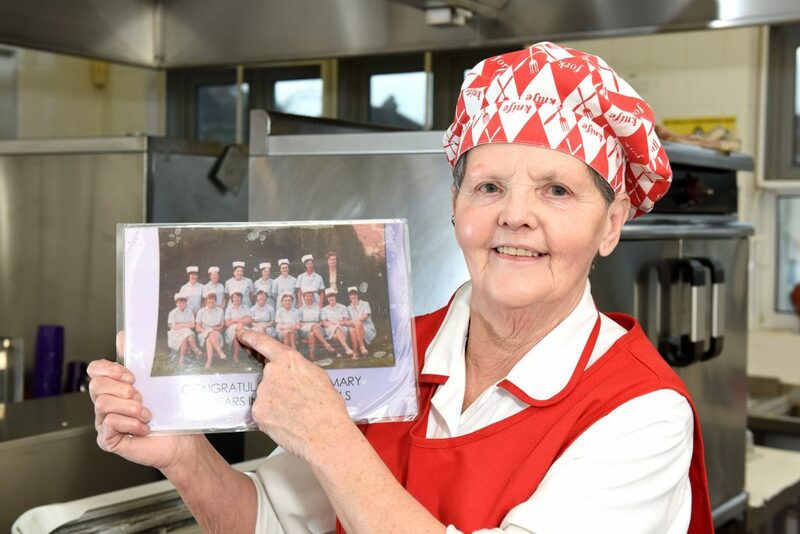 Great-grandma Rosemary – who uses two cookbooks from 1958 – has served thousands of pupils who all love her cooking and said she doesn’t plan to stop serving up school dinners any time soon because she loves her job so much. 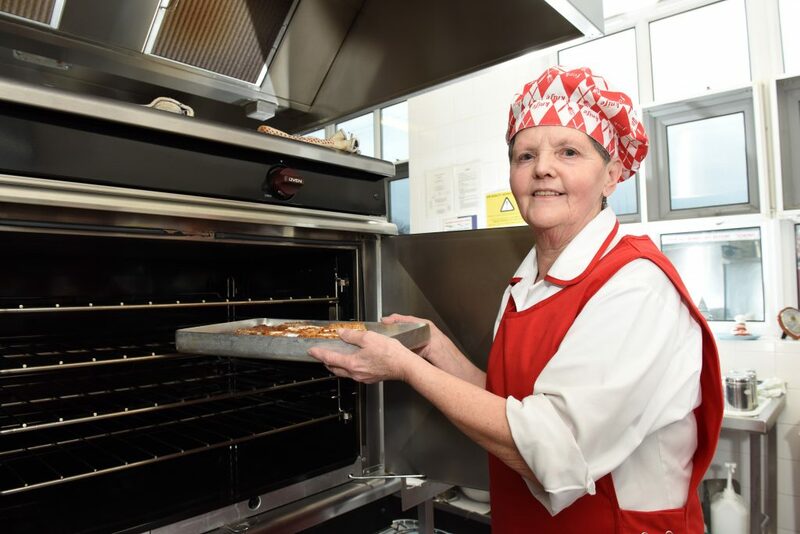 From baking cakes to roasting pork, there’s no end to Rosemary’s cooking talents and after starting her career as general kitchen assistant she’s now a catering supervisor at St. Thomas More Catholic School in Sheldon, where she has worked since 1985. She said: “There has never been a day where I don’t want to come in to work, I love everything about my job from cooking to seeing the little children’s faces every day. “Sometimes I see their parents outside who I used to serve picking up their children and they’re always shocked to see I am still working here. 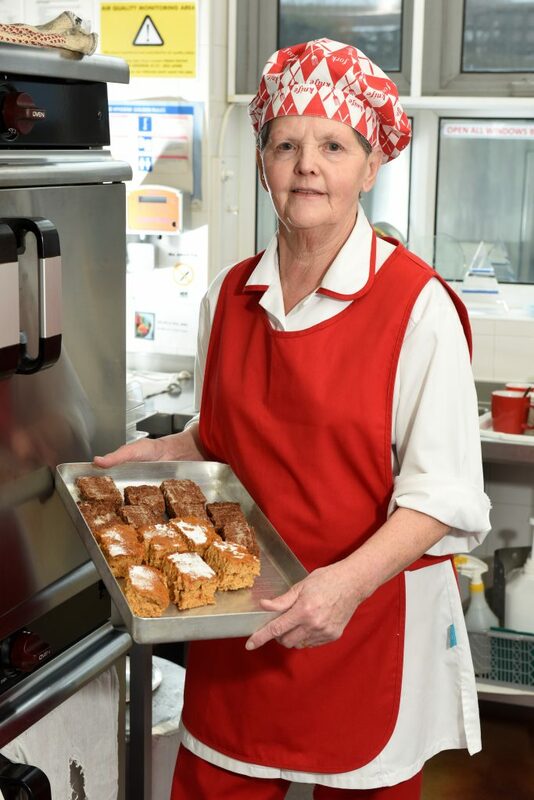 “One of the reasons I applied for a job in the kitchen was because I liked the uniform and the hours were perfect for me and my family. “I still had plenty of time to see my children after school and it is the same now with my grand and great children who range from 26 down to four months. “My husband Michael has always been supportive of my career and he loves my cooking. “There have been so many changes since I first started, I think it is easier now as we don’t have to de-bone fish and meat nor skinning liver like the old days. 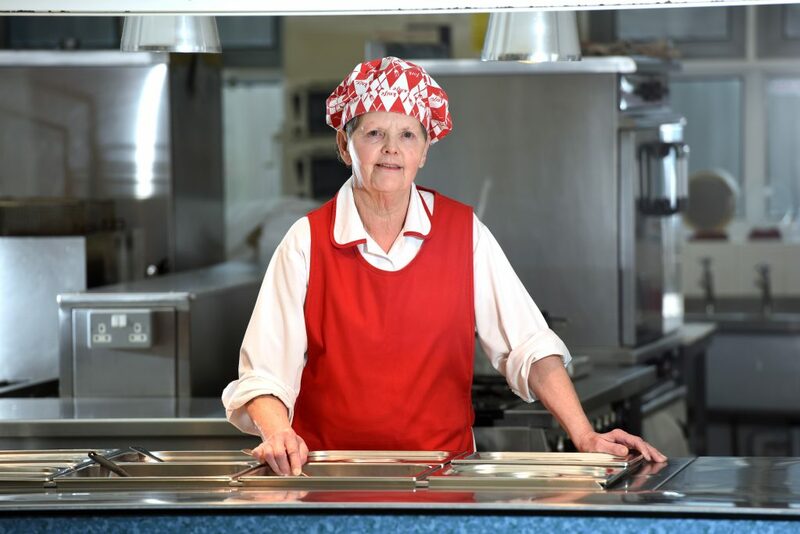 Despite being a dinner lady for 45 years, Rosemary has never become bored of her job and continues to have fun with her colleagues. She reminisces: “I never used to cook until I started this job, it was so interesting learning about all the vegetables and de-boning the meats. “During my first few weeks, I had to get some sausages out of the freezer, they used to come in packs weighing five pounds – I dropped it on my food and ended up in plaster for six weeks. “But that minor setback didn’t put me off as I was keen to go back to the kitchen to learn more and I had made the most amazing workmates, who I am still friends with now. “We used to dress up on our last shift before Christmas and take it in turns to stir the stew whilst singing. “I don’t plan on retiring any time soon, this job keeps me on the go, I’ve gone from peeling potatoes as a kitchen assistance to ordering food on the laptop, something I never thought I would be able to do.